It was another long weekend so the family planned for another trip. 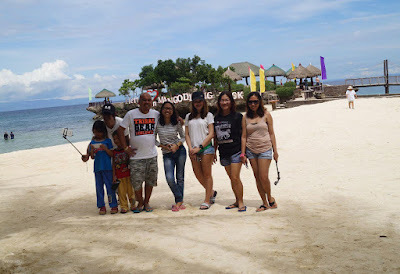 Originally, we planned to go to Anda Bohol but because our Boholano relatives said it kept raining there, we thought this might not be the best time to go visit. The next option was Bantayan Island but one of my friends told me her sister (who lives in Bantayan) was unable to come to mainland Cebu for the weekend because of the bad weather and huge waves. And whilst we were having this conversation, a news came up on TV about a twister in Bogo City which destroyed homes and pump boats. This made us rethink that we should not cross seas. We then decided to go to Tan-awan Oslob. Early Saturday morning, we packed our things and got ready to go. When my brother knew we were going to Tan-awan, he said he won't be going with us since the place isn't child-friendly and not something he wished to be going back again. We were stuck in a dilemma *again* as to where to go. I texted my friend to ask her sister about the weather in Bantayan. She said that Bantayan is sunny now. We decided to go to Bantayan *again*. I, Mr. Kulot (SO) and little Akee (daughter) have already been to Camotes while it would be the first for the rest of the family. So then, it's finally decided. Destination: Camotes Islands! It was still 8 in the morning and the next trip would be by 2 PM. Oh my. To pass time, we shopped at Gaisano Capital Danao, played some games and had lunch. By 12 noon, we we went back to the port to get tickets. We brought with us the family car, too. Bill of lading and other fees will be posted at the end of this post. I am quite amazed at how good the crew is in instructing how to park the car inside the barge. By 2:30 PM, the barge is ready to set sail to Camotes Islands. I was so in love with Camotes before that I actually went there two times in a year. But the last time I was there, it wasn't the same love, anymore. It got heavily crowded and man do I dislike large crowds. This time, I wished there wouldn't be too much people since it's already the BER-months. Lol. The day before this trip, I was driving all the way to and from Pinamungajan to attend a friend's wedding, that's why I didn't get enough sleep. This made me 70% crankier on the two-hour ferry ride. Dolphins accompanied us but I wasn't even in the slightest mood to take pictures. I just looked at the ocean and contemplated about life. Then I thought about the great flood during Noah's time. Then I remembered about how he sent out a dove to check if the waters had decreased from the ground. Then I thought about why they call it dove and how did the first humans discover words. Hooo. Yea, just random thoughts. Lol. And oh! The vehicle did get some scratches which are very visible. No dents, just pretty (I mean ugly) big scratches. Upon arriving, I was a bit disappointed at what I saw. There were trenches on the shore. At first, I thought they were intentionally created which made me a bit angry. But then I later knew they had heavy rains and floods a few days ago which caused some parts of the shore to be washed out. I owe the people in Camotes an apology for thinking they did this. We inquired at Pito's Sutukil if they have available rooms. Unfortunately, only one room is available and should be vacated at 11 the next morning since it is already reserved. We continued to look for other rooms and got to Payag Beach House Resort. The place was really cozy and we would have loved to stay there, but then again, only one room is available and it's only good for two persons. We went out and met an elder woman who asked us if we were looking for rooms. She happily led us to her own cottages at La Pascuala. We got two air-conditioned rooms at a good deal. Room rates will be posted at the end of this post. It was like fate really led us there. La Pascuala is located at the left part of Santiago Bay and so the shore doesn't have those trenches caused by the flood. And unlike at most parts of Santiago, this side isn't at all crowded. In fact, it's just us! Weeeeh! And remember I mentioned about fate bringing us here? Haha. Well, it seems the world is small after all. The owner of La Pascuala has a few mutual friends with my mother. Most are teachers and former neighbors. We were then informed that they have scheduled power interruption. Every Saturday, they have one-hour brownout. They do have solar energy but just enough to power lights. We prepared dinner and got ready for some night swimming. The kids enjoyed playing in the water except for my daughter who is afraid of the dark. We brought two flashlights with us and she happily joined in the fun with her cousins. We didn't spend too much time in the water so we went back to the cottage, have a few chit-chats and drinks. Little Akee slept early while the rest of the kids were busy playing with the tablet. It was hilarious when my niece told me she thinks there's a monster in the next room because she can hear weird noises. It was actually just my father snoring. Lol. And we did had a one-hour brownout. We were having our inuman session outside of the cottage (well, I didn't really drink, I was too tired to drink haha) when suddenly a very strong wind blew non-stop. It was really strong that sand were being blown, too. I was a bit worried that this might be some kind of twister formation as what happened in Bogo a few days ago. I just bid the rest of the guys good night and went to bed. Early the next morning, I was the first in our room to wake up. I went out to have a quick walk at the shore only to see that the weather isn't too cooperative - just like the last time when we went to Tabuelan (I was planning to write a blog post about it but I got too lazy haha). There were huge waves causing the fine sand to mix with seawater, making it look brownish. Huge waves causing the sand to mix with seawater, making it look brown. I got sad thinking we went there in a wrong time. But then again, enjoyment and happiness must not depend on the place. Happiness is not a destination but a way of life. (char) So we had to make the most out of this trip. The tide was getting low so the children (and the kids at heart) played in the sand. For breakfast, our parents bought hotdog and sunny side up eggs from Pito's Sutukil. We were then informed that the last RORO trip would be by 1 PM so we need to be at the port by 12 noon. By 10 AM, we bid La Pascuala goodbye and proceeded to Mangodlong Rock Resort where we took many more photos. Parents, siblings and the kids. Akee and one niece missing because they were busy running around. We even saw a couple of very big blue jellyfish. Just the thought of swimming with these big fellows under there gives me shivers. Though I am not particularly afraid of deep waters, I am scared of what's under it. Here's one of them. It may not look very big on the photo but in real life, it's ginormous!! And I'm not even exaggerating. And there's another jellyfish. See that blue dot at the left of the photo? We proceeded to Lake Danao Park because my brother was looking for "something to do". Mr. Kulot and little Akee. And though we were chasing time, we still tried out some of their "rides". Ralph went kayaking by himself. Brother, sister, niece and nephew. Together with Mr. Kulot, Akee and niece. And oh! The rest of the guys are behind us. When it was nearing 12 noon, we proceeded on our way back to Consuelo port. My father took a wrong turn when we got out of Lake Danao Park. Instead of going left, he turned right. I just followed because I was thinking there might be a shortcut stated in their vehicle's GPS. (Oh right, we brought two cars with us) While we were also relying on Google Maps, we were confused as it shows that we are going farther from the port. I called them and turned out we really did went to the wrong direction. Lol. So we hurried back and arrived at the port by 12. When we got there,we discovered that we were misinformed. (lol) The last RORO trip is still on 5 PM and they would only issue tickets for the 5 PM ride after the 3 PM Express departs. It would be an awful long wait at the port so we decided to go back to Santiago and have lunch. We had sinuglaw, sizzling gambas, sizzling squid, bam-e and crab at Pito's Sutukil. Their food is, as always, very delectable! The only con is their serving got smaller. It is now good for one to two persons only. We also overheard a conversation from the next table. They said their visit isn't worth it. It's depressing to hear such comments especially since I really loved this place a few years back. But I certainly cannot blame them. They visited in the wrong time. If only they have seen Camotes before it got so crowded. If only they have seen it in its "summery" condition. If only they have seen what I saw and experienced in Camotes four years ago, they may see the island differently. 2 PM and we went back to Consuelo port to get tickets for Danao. We had some pizza, sandwich, cupcakes, coffee, and shakes at Cafe Aroma to pass time. Akee looks like a tourist. We departed at 5:30 PM and reached mainland Cebu by 7:30 PM. Though it wasn't the best weather to visit Camotes, my family didn't have any complaints. They were contented with the island's beauty despite traces of Mother Nature's wrath. Though they didn't get the chance to visit some of the caves because we don't have enough time, they still enjoyed the short time we stayed there. 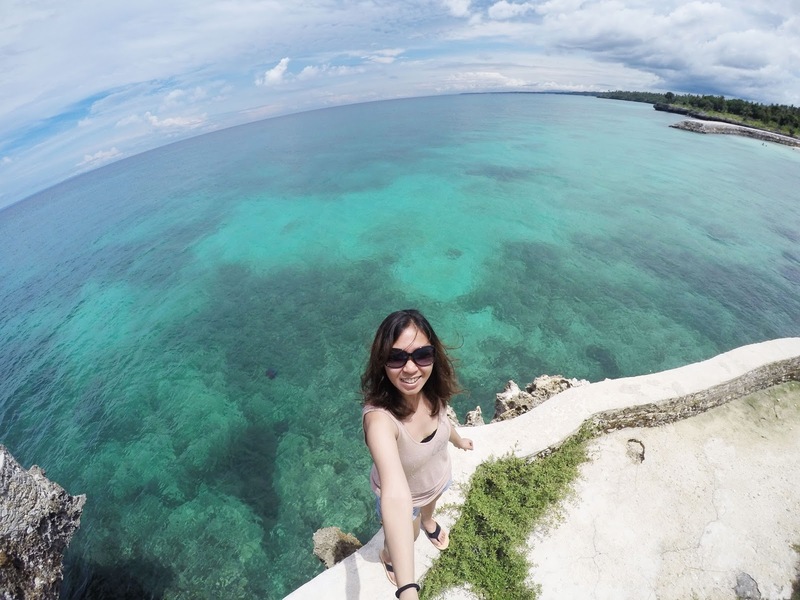 Camotes would always boast of its caves, white sand beaches and scenic views. Nature could be harsh sometimes but that doesn't mean we humans should be, too. Give Camotes some time to recover. :) It will surely be a place worth revisiting. Secure a round-trip ticket at Jomalia's main office two days before your trip. It gets costly every year!! Hahaha. The first time I went to Camotes, 2k was more than enough. I was able to buy pasalubong that time, too.